“We need that, only with our guys”. I clearly didn’t sit in on the meetings where Justice League Heroes was pitched, but I’m sure there were people who saw the success of Activision’s X-Men Legends series at WB Games and saw the potential of doing that, only with DC’s stable of characters. 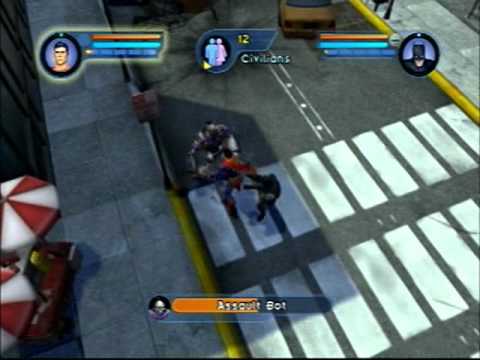 For as long as there has been comics, there’s been fights among certain fans over which publisher of the “Big 2” is superior: Marvel or DC, and in 2006, that front was fought in video games. In one corner you had Marvel Ultimate Alliance form Raven, the developers of the X-Men Legends series and in the other was new comer Justice League Heroes from Baulder’s Gate: Dark Alliance developer Snowblind. I’ve never been one to draw a line in the sand and say that one company that puts out comics is better than another, because ultimately, one should just be a fan of comics and not care who puts them out. People may relate to certain characters from say, Marvel more than DC or vice versa, but it doesn’t mean that the other is bad. In the case of what dungeon-crawling action-RPG is better however, it’s one case where it’s quite easy to pick a clear winner: One is a game that people have been begging for a new entry for years now and got excited when a remaster came out, and the other is Justice League Heroes. The story for Justice League Heroes was written by Dwayne McDuffie, may he rest in peace, whose talent helped make both Justice League and Justice League Unlimited of the greatest animated series of all time. While the plot of Heroes does a good job of weaving in villains like Brainaic, the Key, Gorilla Grood and eventually Darkseid as well as creating context to sending the Justice League to places like Metropolis, Gorilla City and even the surface of Mars, it doesn’t have a story that is overly compelling. McDuffie was an incredible talent, but his work on Heroes feels more functional to the needs of the levels. This game isn’t set in the Justice League animated universe, but considering the plot focuses on a cast of seven who is nearly the same as the shows: Batman, Superman, Wonder Woman, Flash, John Stewart as Green Lantern, Martian Manhunter with only Hawkgirl missing (but unlockable), replaced by Zatanna, I’m not sure why it wasn’t. The voice cast isn’t bad, Ron Perlman is terrific as Batman for example, but seeing this group of characters that’s so similar to that of the shows without the likes of Kevin Conroy’s Batman and Susan Eisenberg’s Wonder Woman is immediately noticeable. Like Baulder’s Gate and the X-Men Legends series, Justice League Heroes is a top-down viewed action-RPG where for most part you’ll be crawling through dungeon like environments, beating-up waves and waves of similarly themed enemies. The simple act of punching enemies feels good, which you would expect from the people who have experience making this type of game, and that’s a good thing because in Justice League Heroes, you’ll be doing a lot of it. There’s combos that can be performed by mixing different types of attacks, but they don’t feel as important to learn as they’re in Marvel Ultimate Alliance so learning them doesn’t feel as rewarding. Certain enemies for example in MUA will only become vulnerable until they’ve been worn down with a pop-up attack, which makes it important for the player to learn exactly how to reliable pull that off in a pinch. It’s telling in the loads screen for JLH that it will say things like “X,O,X is a combo” and that’s it. Because this is the Justice League we’re talking about, using simple punches doesn’t quite cut it when your controlling the likes of Zatanna and Green Lantern. Each hero has their own dedicated series of special moves that can be activated with Batman having the ability to hurl batarangs, Superman deals damage from a distance with his heat vision and Wonder Woman pulls in enemies for a follow-up hit with her Lasso of Truth. The most interesting of the group is Zatanna with her magical abilities making her invaluable as she can heal, throw fireball projectiles and turn regular enemies into harmless bunnies. As unique as the team feels though, there’s also a similarity among them that with the exception of Zatanna, makes them feel a little too similar. The Flash’s power set couldn’t be farther from Batman’s belt of gadgets, yet the way their moves and abilities are mapped out makes them identical in some respects and this goes for the rest of the League as well. The argument could be made that it allows for players to experiment more without getting overwhelmed, but I’d rather trade that accessibility for having a team where its members strengths are celebrated and used in creative ways. Justice League Heroes is a competent dungeon-crawler, but unless you’re the biggest DC Comics fan, it’s not a game that will hold your interest for very long for a number of reasons. The biggest of which is that you can only have a team of two heroes at a time and for most of the game those two characters are chosen for you. Given that the first X-Men Legends allowed you to not only use a team of four at all times, but also gave you choice in how you developed your roster as well, this is inexcusable. It’s not until the game’s fifth mission or so that you’re allowed to pick anyone other than the main team, and your choice is limited to what characters you bought with currency collected within levels. By the time you’re given freedom to pick and choose, it doesn’t even make sense to do so as newer characters will be significantly underdeveloped in contrast to the core seven and this will come back to haunt you in the final boss encounter, trust me. A lot of the characters you can buy also are just pallet swaps of other characters too. You can buy Green Arrow and Aquaman who stand out, but also Supergirl and two other Green Lantern’s that aren’t that different from Superman and the Green Lantern you already have. Games of this genre keep players motivated to keep going in the face of repetitive mechanics in the hunt of loot, but there’s only two types of things to collect in Heroes: Tokens to buy more heroes and costumes as well as power-ups that can be can be slotted into your teams stats to enhance their powers or things like health, damage and ability to regenerate your health and super meter. Power-ups come in a few varieties that increase attributes like damage, range and duration. They can be used right away or combined to level them up which creates some strategy on how you choose to develop your character, but also confusion as well. You never get the feeling that whatever you’re equipping is as beneficial to you as other games of this type that uses loot instead and have a clear representation of how that makes your character better right away. There’s no recipe for example that tells you what will come from joining a level two duration pick-up with a level 4 range item, so you mostly just end up hoarding things until your inventory is full because you have no direction on what’s helpful. Justice League Heroes takes the team all over the earth and off planet in some pretty big levels, but it gives you very little reason to explore them, so it’s best to keep the map on-screen at all times and keep pushing forward. I’m not in possession of the PS2 version of this game, only the console game on the original Xbox and the handheld port on the PSP. I played this from start to finish on the PSP and like X-Men Legends II and the first Marvel Ultimate Alliance, it’s an impressive one-to-one conversion. The Xbox original game is backwards compatible on the Xbox 360, however it’s not recommended that you play on that console as the game will just slow down to a crawl when things start getting too hectic. I played my copy on an original Xbox and it worked fine, so I’m sure the issue is however the game is emulated on the Xbox 360 hardware. 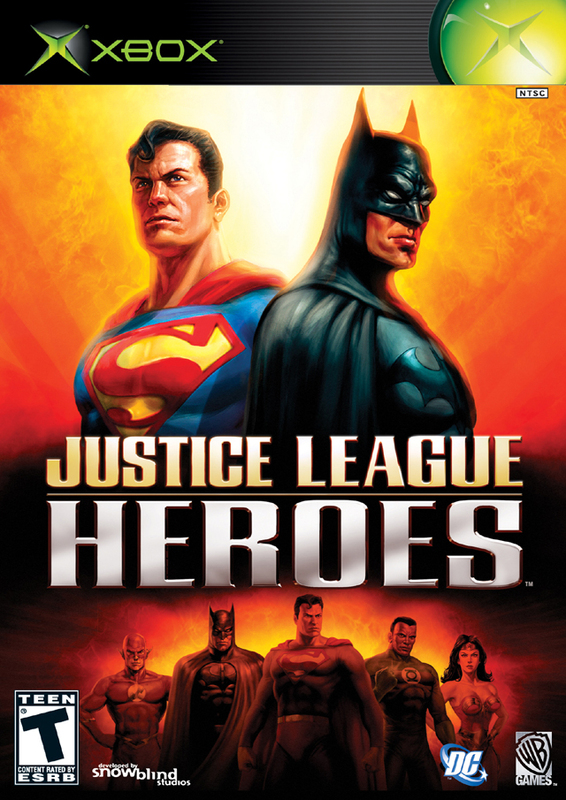 If you’re looking for a competent brawler with some lite RPG elements and are a huge DC Comics fan, there’s no reason to not to play Justice League Heroes at least once. Unless you absolutely hate Marvel though, Justice League Heroes is a difficult sell. The story, while penned by one of the greats, is not that compelling, the base arcade-like brawling gameplay is sound, but gets repetitive and with little in the way of customization or choice, monotony sets in really fast. 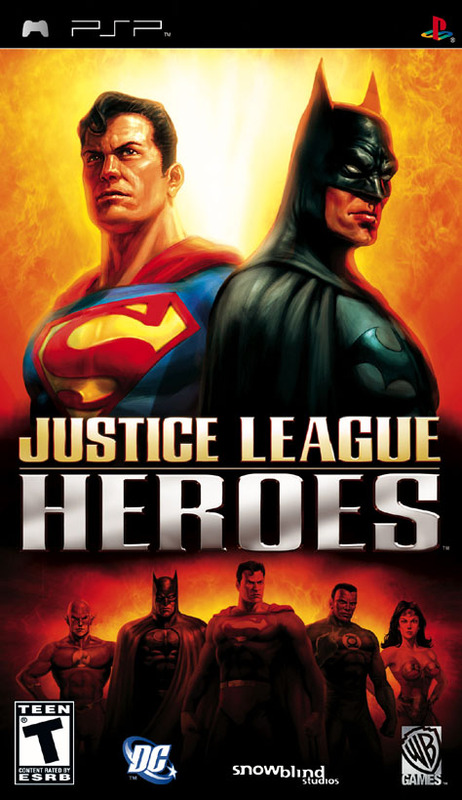 Justice League Heroes is not a bad game and you can’t deny how fun it is to burn enemies with Superman’s heat visions or turn deadly sentient Gorillas into harmless bunnites, but when compared to the likes of the competition produced by Activision with the Marvel license, it’s only average unless you live and breath the source material.